Tillit Sidney Teddlie was born June 3 , 1885, at Swan, Texas, the eighth of nine children. He was the son of Theodore and Sarah Ann Porter Teddlie. He was baptized by A. M. Shelton in August 1903, at Golden, Texas. He attended his first singing school at age 9. The school was taught by his brother, Jim. He taught his first singing school at White's Prairie, Texas, in 1903. Six-hour sessions were conducted daily for two weeks. At Frederick, Oklahoma, he picked cotton during the day and taught singing school at night. In 1906 Teddlie composed his first hymn entitled, "I Have Waited Too Long To Prepare." He told the story about an infidel who was dying of pneumonia. The man, who had boasted about his life style, begged his doctor to "tell my friends better. Tell them I've waited too long to prepare, but you have time." Teddlie was educated in Southern Development Normal in Waco, Texas, a school for advanced instruction in theory and harmony. He also attended what is now North Texas State University. Tillit S. Teddlie married Edna Webb. They had one child. In addition to singing schools which he taught for 61 years, he also preached. He conducted a tent meeting in 1923 in Thalia, Texas. Merchants closed their stores for the day services. Over 400 came and 28 people were baptized. Some of the places where he served as full-time minister were: Johnson Street Church of Christ, Greenville, Texas, 1945-1951; Ennis, Texas, three years; Sulphur Springs, Texas, two years. 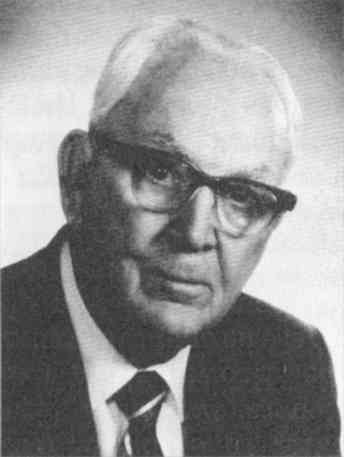 He preached for the Central Church of Christ in Greenville, Texas, for several years before serving at Lone Oak in 1958 and in Quinlin, Texas, in 1961-67. Tillit Teddlie was honored by many people in many places. On June 2, 1985, 630 churches across the land proclaimed Sunday Tillit S. Teddlie Day and sang his songs. Teddlie had composed 130 songs and published 14 song books. One of his song books, "Golden Harvest Hymns" included 100 of his best known hymns. He attended a song fest in his name at the Preston Crest Church of Christ in Dallas where more than 1,200 gathered. Teddlie's 100th birthday was honored by President Ronald and Nancy Reagan who sent a telegram. Texas Senator Phil Graham had a flag from the White House sent to Teddlie. The Briar, Texas, Church of Christ gave him a bronze statue worth $6,000. The Texas House of Representatives adopted Resolution 487 in Teddlie's honor for his exemplary Citizenship and many years of church service. The State of Texas House of Representatives presented their "Certificate of Citation," "Extending our most sincere congratulations, We proudly present this Certificate: To - Tillit S. Teddliein honor of his 100th Birthday." Foster and Edna Ramsey purchased the portrait of Teddlie and had it framed to be donated to Boles Home to hang among the previous superintendents of Boles Home. Tillit S. Teddlie served as superintendent of Boles Home from 1927-1929. Teddlie began each morning by reciting all the books of the Bible and naming all the Presidents of the United States. He led singing for more than 100 gospel preachers in meetings across the land. For one period of time (two years) he sang only with Foy E. Wallace, Jr., while they conducted meetings across the country. 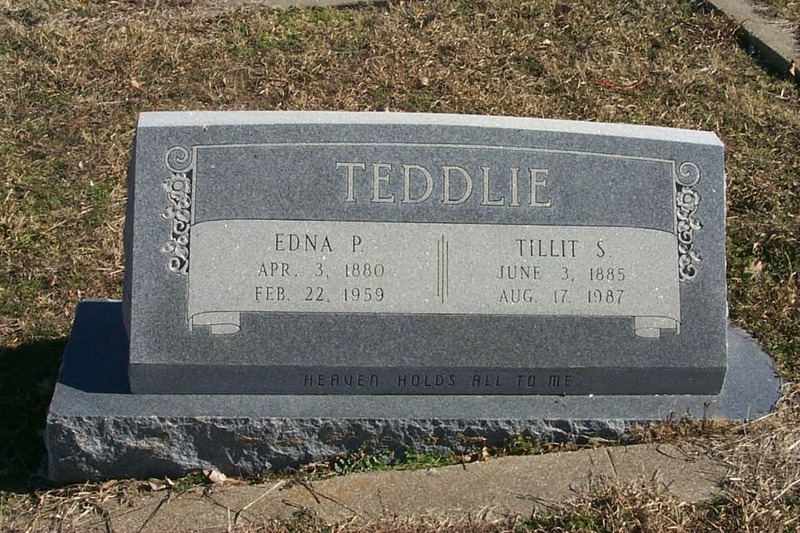 Teddlie celebrated his 102nd birthday June 3, 1987, at Hilltop Haven in Gunter, Texas. He lived a long and useful life and will continue to live through his preaching, through his teaching, through his example ' as a music teacher and song leader, and his good influence upon all the people that he met and worked with. 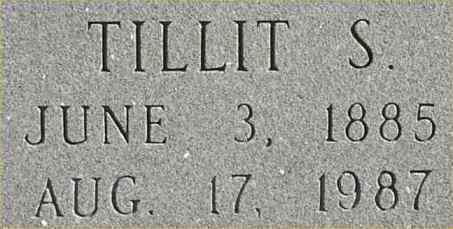 On August 17, 1987, at the Nursing Home in Gunter, Texas, Tillit Sidney Teddlie departed this life to be with the Lord. He was 102 years of age. Survivors included his son, Pete Teddlie of Dallas; one granddaughter, four great grandsons, and six great, great grandchildren. Funeral service was conducted August 20, 1987, at 10 A.M. at the Skillman Avenue Church of Christ in Dallas where Teddlie was a member. Stanley Lockhart and Max Wheeler conducted congregational singing. Mike Armour, Skillman Avenue minister, and Hulen Jackson delivered eulogies. Pallbearers at the Dallas service were Nelson Slater, Virgil Bentley, Jimmy Wood, John Mann, Hardeman Nichols and Clifton Rogers. Graveside services and burial were at 12:30 P.M., August 20, in Forest Park Cemetery at Greenville, Texas. Pallbearers at the graveside service were Weldon Hudson, Leon Powers, Foy Powell, Kenneth Thompson, and Wayne Wallace. Randy Daw officiated at the graveside service. One day around 1932, Tillit S. Teddlie was able to visit his old homeplace where he had lived as a child. In his memory the place was as new as when he was a boy. But when he arrived at his home years later, it was in shambles. The barn was ramshackled and falling down; trees were dead, or gone. I'm not even sure the house was standing. Teddlie sat on the ground, leaned against a tree, took out his pocket-sized Bible, and turned to a blank page in the back. There he wrote the words, "Earth holds no treasures but perish with using, however precious they be. Yet there's a country to which I am going. Heaven holds all to me!" The hymn, "Heaven Holds All To Me" has motivated many thousands of worshippers since then to put things in perspective, the unseen over the seen; the eternal over the temporal. In January, 2002 my son and I went to Texas for the Ft. Worth Lectures. On the way we stopped in Greenville, Texas located about 45 miles northeast of Dallas on I-30. On I-30 take the 94b Exit and go south on Hwy. 69 1/2 mile. The Forest Park Cemetery will be on your left. Enter the main gate, and proceed to the first intersection (a triangle with a few graves in the middle.) At the intersection bear to the left. Proceed around until you come to a big tree on your right. To your left (east) will be a golf course, and straight ahead (south) will be a big white two story house. Looking up the hill to your right, you will first see "Williams." Then look further up the hill and see "Pearson." Teddlie's grave is just to the left of Pearson facing North. You can't see it from the road. Travel up the grassy nole to see grave.